One of the best parts about owning and operating Aerial Photo Media has to be the unique locations I’m able to travel. 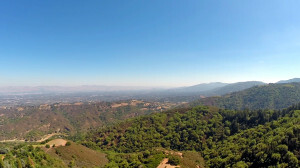 I’ve spent the majority of my life in Northern California but I had yet to make it out to the Santa Cruz Mountains. 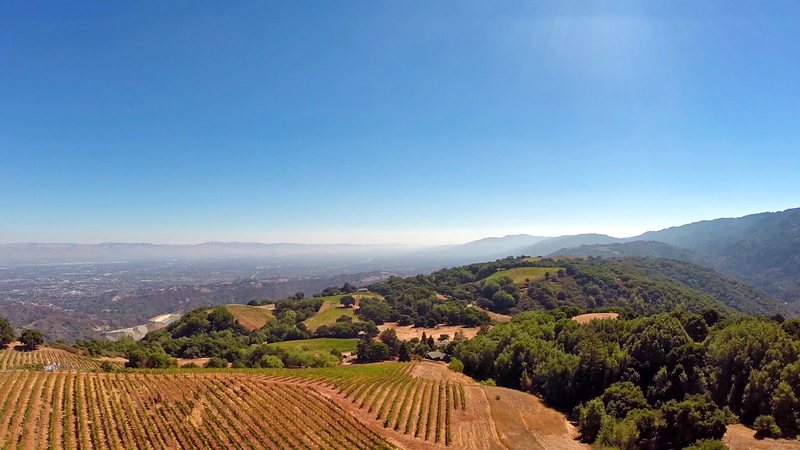 After wrapping up a drone filming project with Ridge Winery and filming their Lytton Springs property and adjacent vineyards, they asked me to come out and film the Monte Bello property and capture aerial shots of the mountain vineyards. The winery was founded in the 1950’s and was one of the first major wineries in the area. Ridge has a historical following and major wine club with grand attraction to their line up of exquisite wines. They are well known for their Zinfandel but they also have a unique setting in the Santa Cruz Mountains as their Cabernet Sauvignon vineyards (which produces a phenomenal wine) sit just above the fog line, enabling just enough sun light during the growing season to allow the Cabernet Sauvignon grapes to ripen. 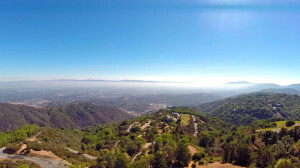 The views were absolutely breath taking, overlooking Silicon Valley to the East above the marine layer. Sitting above the marine layer created a unique view being eye level or above the clouds; it truly felt like being in heaven and looking down upon earth. 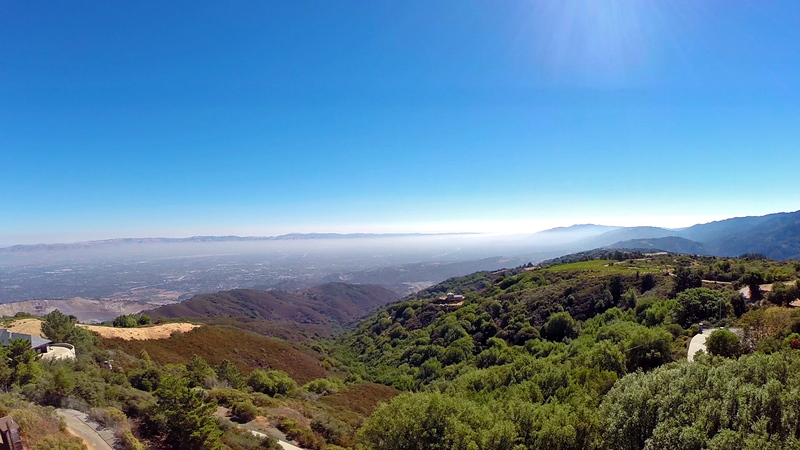 It’s hard to imagine a better scene to capture with aerial video and aerial photography. The conditions were perfect, almost no wind, clear blue skies and excellent lighting. The vineyard management team took me off-roading to some of their most remote vineyard locations to capture impeccable footage of their property with the drones . Despite the warning signs, we were lucky enough to not encounter any rattlesnakes! 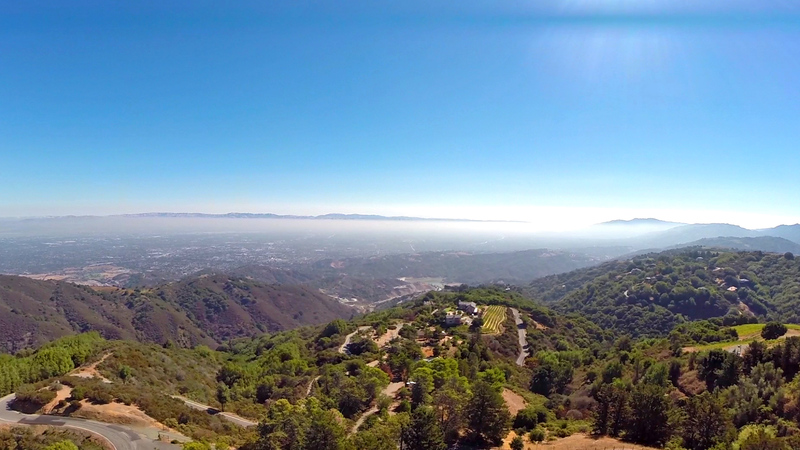 I’ll be heading back up this week to capture a bit more footage and continue what has been so far one of my favorite projects with Aerial Photo Media. If you happen to be in the South Bay Area or Silicon Valley, make the visit up to Monte Bello and enjoy a tasting at Ridge Winery, the views alone are worth the drive and the wines are absolutely fantastic!